Designed to meet the demands of the backcountry, the Rush LT Jacket is light, durable, and featured for long uptracks and aggressive descents. 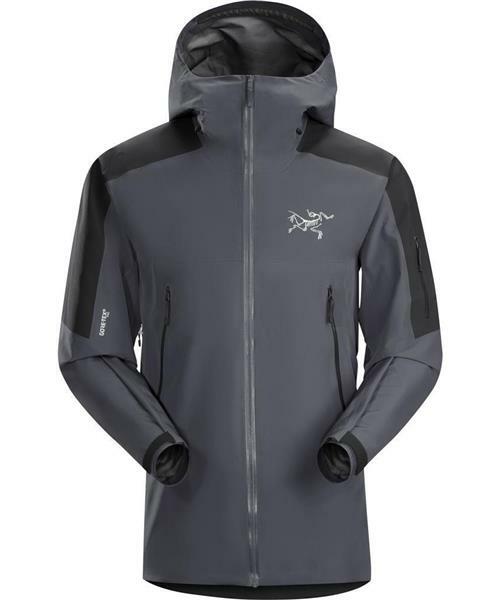 The minimalist design keeps its weight at scant 445 grams, but the Rush LT still provides complete Gore-Tex protection and is built to withstand the rigors of rugged backcountry terrain. N40p-x Gore-Tex Pro is used in the body for durably waterproof, windproof protection while N80p-x Gore-Tex Pro reinforces high wear areas. The helmet compatible StormHood™ gives full head protection and easily adjusts for a secure fit with outstanding freedom of movement and peripheral vision. External pockets are easily accessible while wearing a pack and WaterTight™ pit zippers are angled for easy access. Intuitive Cohaesive® hood and hem adjusters are exceptionally easy to use, even while wearing heavy winter gloves.